This Element Mercury is a very fascinating Element. Interestingly, Mercury, the element, has an unknown discovery date as well as an unknown finding place. Mercury is one of the few elements that has an alchemical symbol. Mercury is named after the planet Mercury, which is the Greek word hydrargyrum, which means liquid silver. This element was introduced to the ancient Chinese and Hindus, and has been discovered in 3500 year old Egyptians catacombs. Liquid Mercury actually drips from the walls of the caves in the ancient mines of Spain. Mercury is used to make scientific tools such as barometers, thermometers, diffusion pumps, and can also be found inside of batteries. This element is used in thermometers because it has a great amount of thermal expansion, which is constant over a great temperature range. The use of Mercury in thermometers is declining in favor of safer fluids. 1.Mercury is fascinating to look at and is very shiny. 2.If there is contact with Mercury, it can be very dangerous. Never touch it because it is extremely poisonous to humans. 3. 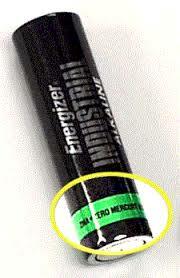 This element is also known as quicksilver because its ability of movement. 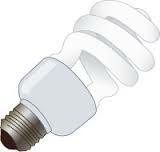 4.This element also conducts electricity and is found in electrical switches, thermostats, and alarm clocks. 5. 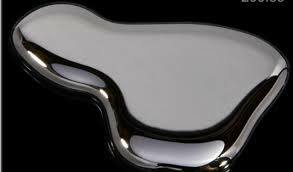 Mercury is actually the one and only metal that is a fluid at room temperature. 6. Mercury is extremely hard to find and in the Earth’s crust. It reports for only about only 0.08 parts per million. 7. This element is not really active with other acids. These are images of tools that have Mercury Inside of them. "Model Of Mercury." Facts About Mercury (Hg) - LiveScience. N.p., n.d. Web. 29 Oct. 2015. "Model Of Mercury." 10 Interesting Facts About Mercury (Element) - Chemistry. N.p., n.d. Web. 29 Oct. 2015. <https://www.google.com/url? "Model Of Mercury." Mercury - Chemicool. N.p., n.d. Web. 29 Oct. 2015. <https://www.google.com/url? "Model Of Mercury." It's Elemental - The Element Mercury. N.p., n.d. Web. 29 Oct. 2015. <https://www.google.com/url? "Model Of Mercury." Mercury - Element Information, Properties and Uses …. N.p., n.d. Web. 29 Oct. 2015. <http://www.chemicalelements.com/elements/hg.html>.